Laura Belle French Hayes, age 88, of Mt. 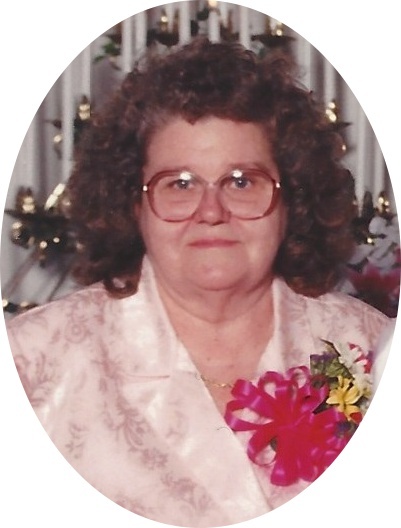 Vernon, KY, passed away on Saturday, March 30, 2019 at her home. Survivors include her son, Eddie Hayes and Melanie; two daughters: Vicky Hayes and Danny, and Barbara Reynolds and Rick; four grandchildren: Gail Cox and John Mark, Matt Reynolds and Allison, Andrea Terry and Kenny, and Lyndsey Boreing and Stephen; 6 great-grandchildren: Brooklyn and Maggie Reynolds, Braxton Cox, Grace Terry, and Isabelle and Abigail Boreing; and one brother Robert B. French and Willie; as well as a host of many nieces, nephews, friends and neighbors. She was preceded in death by her loving husband, James V. Hayes, her daughter, Judy Ann Hayes; her parents: Alvin French and Mae Taylor; her brother, Charles W. French. Services for Mrs. Hayes will be held at the Marvin E. Owens Home for Funerals, and will begin with the visitation on Monday, April 1st, 2019, from 6pm-9pm. Funeral will be Tuesday, April 2nd, 2019, at 2 pm, with Bobby Owens officiating. Burial will follow in the Elmwood Cemetery.